Mr. Rotsko focuses his practice on high-stakes, complex litigation between private businesses and against state, local and federal governments, including contract disputes, constitutional violations and challenges to agency action. He provides strategic counseling that integrates the firm’s litigation, regulatory, corporate, banking, tax and government affairs capabilities to achieve clients’ objectives. Mr. Rotsko is the firm’s Government Contracts Practice Team Leader. Mr. Rotsko has obtained favorable results in a wide variety of complex business disputes around the country, including bet-the-company breach of contract cases, shareholder/member disputes, subrogation and commercial real estate. In addition to commercial litigation, Mr. Rotsko maintains an administrative law/constitutional practice, representing private parties in lawsuits against state, local and federal governments in a variety of contexts, including environmental regulation, land use and procurement. He has experience defending False Claims Act allegations, conducting internal investigations and managing complex e-discovery. Mr. Rotsko’s government contracts practice involves bid protest disputes that arise during the solicitation and award process; strategy and compliance advice regarding the Federal Acquisition Regulation, Competition in Contracting Act, Contract Disputes Act, and other statutes and regulations governing contracting activity. 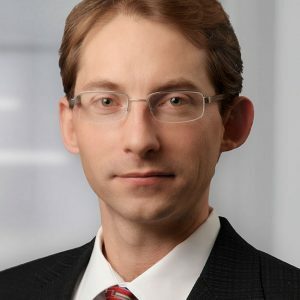 He has litigated substantial monetary claims against the federal government in the U.S. Court of Federal Claims, where he previously served as a law clerk to the Honorable Victor J. Wolski. Prior to joining Phillips Lytle, Mr. Rotsko worked as an attorney in Washington, D.C. on judicial and cabinet-level nominations. During law school, he served as a judicial intern to the Honorable Nathan D. Mihara of the California Court of Appeal (6th District), and to the Honorable Nathan L. Hecht of the Texas Supreme Court.